Millie Mackintosh just fuelled rumours she's dating Hugo Taylor... | HELLO! May 12, 2016 - 14:43 BST hellomagazine.com Looks like love is in the air! Former Made In Chelsea lovebirds Millie Mackintosh and Hugo Taylor are rumoured to be dating again, following her divorce from Professor Green. And fashionista Millie fuelled the speculation by turning up to support the designer as he celebrated his new Taylor Morris sunglasses collection on Wednesday night. Having returned from the Body Camp in Ibiza with her best friend Caggie Dunlop, who also used to star in Made In Chelsea, Millie looked tanned and toned as she turned up to the event. Championing her own fashion line, Millie was sporting a brown suede jacket, a floaty summer dress and black tasselled boots. The couple dated for six months back in 2011, and since her split from husband Professor Green, Millie and Hugo have been spotted together on several occasions. 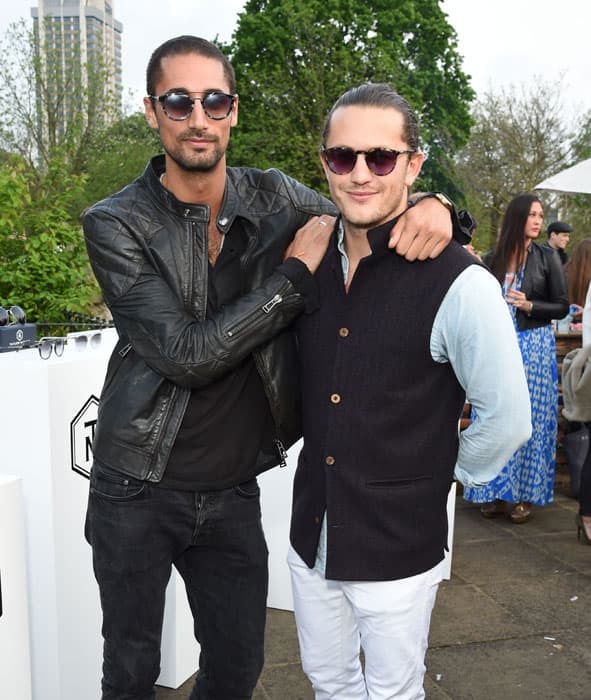 A host of other famous friends – including Spencer Matthews, Thom Evans and Rosie Fortescue - turned up to support Hugo as he launched sunglass brand Taylor Morris' new range, entitled the Explorer collection. Back in February, Millie and Professor Green announced that they were separating, after two years of marriage. In a joint statement released to The Mirror, the pair said: "It is with sadness and regret that we confirm our separation. It is a mutual decision, we still care deeply about each other and would like it to be known that it is on amicable terms and we wish each other well." The statement of separation came a week after Professor Green, real name Stephen Manderson, revealed that he had only seen his wife once this year. Speaking toThe Sun, the rapper said that they are both so busy working on their respective projects that they find it difficult to make time for each other. In a bid to spend more time together, the couple jetted off to Florence at the end of January. "It was the first time I had seen her properly in 30 days," said the Read All About It singer.